Cur&#275us stopped by to talk to Olga Afanasiev, a pathology graduate student at the University of Washington. Olga has begun her thesis in the laboratory of Dr. Paul Nghiem. The focus of her research is on studying a rare, and often lethal, neuroendocrine skin cancer, Merkel Cell Carcinoma (MCC) She entered her poster into the Cur&#275us Fall 2012 Poster Competition on the same topic. It used to be that building a professional reputation as a physician was just a matter of working hard, publishing and speaking to demonstrate your thought leadership while also developing strong word of mouth from well treated patients. No longer! A physician’s reputation is increasingly built and displayed online. The web is now the largest source of information for physicians AND patients. When your colleagues want to know more about you…they turn to the web. Writing is one of the most powerful ways a physician develops his or her reputation and publishing medical posters is often the first experience most physicians have with publishing. Cureus is hosting our first international poster competition for many reasons among which are the opportunity for authors to showcase their works to the world rather than a few people at a conference. Additionally, it’s a way to begin building one’s “Digital CV” while possibly making connections with other authors with similar interests. With that context, I want to offer some very simple advice to every medical student and physician author…spend a little time building out your profile. People connect with people first then they connect with content. The Fall 2012 Poster Competition site traffic has shown very clearly that those authors who create a full profile along with a picture are far more likely to generate poster views and votes. Realize this is not specific to Cureus — as you move forward in your career, don’t short-change your work and expertise by not taking advantage of the tools at your disposal. This may include personal or practice web sites, LinkedIn accounts and more. As for generating maximum readership of your posters on Cureus…take a few extra minutes now to add a picture, list awards you may have earned, your address etc. Our data shows that these steps work! As a result of requests from several medical schools and residency programs to extend the poster contest deadline, the Cureus editorial staff has decided to change the submission deadline to October 12 at 5PM PST. The schools from the eastern half of the US are definitely dominating those from the west to this point with the exception of Stanford and UW. Where are USC, UCLA, OHSU, UC San Diego? Time to get moving! Note: voting is open once a poster is submitted, so the authors who get their posters submitted before the deadline and begin promoting them have a head- start toward finishing among the top 10 finalists. The Cureus editorial board will select the top 3 winners from among the 10 finalists. iPhone 5 or Kindle Fire HD? 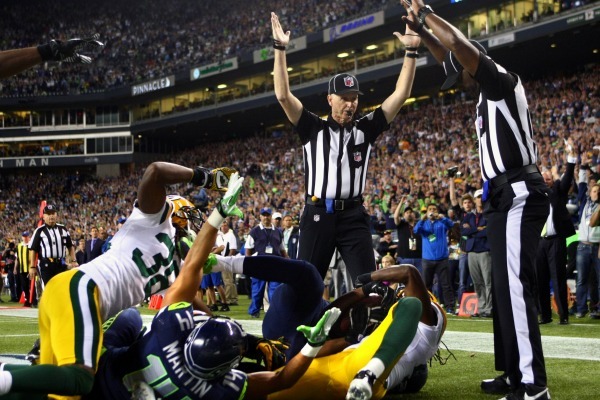 – NFL replacement referees can’t decide. Popular posters will now bring you popular devices. Varian Medical Systems has thrown in a new prize incentive for posters with the most votes in our Cur&#275us Fall 2012 Poster Competition. The highest vote-earner and their mentor will get to choose either a brand new iPhone 5 or a Kindle Fire HD. Being popular isn’t everything… but sometimes it’s pretty darn cool. “While our competition gives residents, medical and graduate students the chance to win prizes, the long-term benefit is that publishing to Cur&#275us allows valuable poster content to live on and be shared, long after the conference at which they are presented. That’s truly priceless.” said Cur&#275us President, Tobin Arthur. Submit your posters by October 5 and compete with medical and graduate students from around the world in over 40 categories. These categories include all major medical specialties. The sooner you register the sooner you can begin promoting your poster. Read more details about our Fall Poster Competition. I had the chance to chat with Mark Yarchoan, MD one of the key people behind launching the Cur&#275us International Poster Competition. 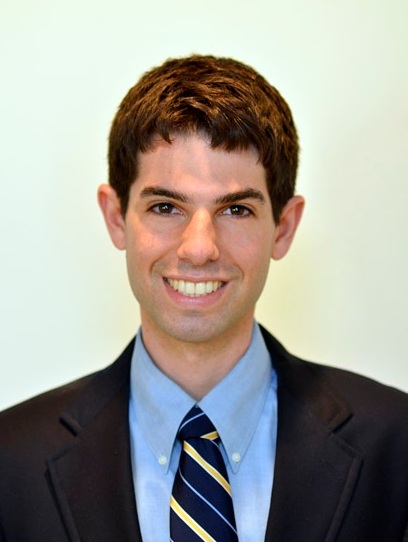 Mark is a first year resident at the University of Pennsylvania and is the Director of the soon-to-be-launched Cur&#275us Ambassador Program (medical students and residents). Q) For a little background, tell us where you grew up and where you went for undergrad and medical school. A) I grew up in Bethesda, MD, a suburb of Washington, DC. I completed my undergraduate degree at Amherst College and then went on to study medicine at the University of Pennsylvania. Q) What attracted you to pursue a career in medicine? A) My parents are both physician-scientists, and I think that attracted me to medicine from a young age. While growing up I also loved science class in school. However, choosing medicine was still a challenging decision for me because I was bothered by the idea of following in my parent’s footsteps, and I resisted by searching for alternative careers. I spent a summer living in a tent and catching bats for the National Park Service, thinking that I might want to be a field biologist. I also spent a year after undergrad as a medical reporter. It took me a while to settle on medicine as a career. Q) As a first year resident, what has been the biggest surprise or most interesting experience so far? A) I think one of the surprises I’ve come to recognize about medicine mostly since becoming a resident is that in the end, so much of patient care falls into a grey zone. Most of medical education is focused on learning facts; there is a right answer to every test question. However, in practice, there rarely is just one right answer because there simply isn’t specific data for the majority of medical decisions we make. This is partly what makes medicine so interesting, and why I think it’s a bit of an art. Q) If you were to go back to medical school, is there anything you would have done differently in terms of preparing for/applying for Residency? A) Medical school has become a multitude of important steps: basic science classes, clinically-oriented classes, tests, clinical evaluations, and then there are the national Step exams; and at each juncture I really had the sense that if I didn’t shine I might fall all the way down the staircase. In retrospect I wish I had spent more time just enjoying the privilege of becoming a doctor. Let me give you an example: I actually went through most of medical school never drawing blood from patients. Blood draws were not something we were expected to do on the wards, and blood drawing skills were never tested on any kind of exam. Instead, I spent time memorizing that Krabbe disease (1 in 100,000 births) is caused by a deficiency in the enzyme galactocerebrosidase because that occasionally showed up on tests. I wish I had just given up my one point on the test for not knowing about Krabbe’s disease and become the best in my class at drawing blood from patients with challenging veins. It’s something that in the end is much more important. Q) Thinking back to creating your first poster, what is the biggest misconception you had about authoring a poster or what is something you now know that you wished you knew then? A) Like a lot of other people, I greatly overestimated the time I had to sell my story to viewers. I thought that viewers would spend several minutes reading my poster. Instead, most people simply read the title, or perhaps look through the figures. That experience taught me to make as much information available as quickly as possible to the viewer: clear, concise titles; clean figures; a readable 30-second abstract. Q) Did you have any good or interesting experiences creating or presenting posters that immediately come to mind? A) The highlight of presenting a poster, at least for me, has always been meeting people who are in your field who came to learn about your research. This is part of the reason that I’m enthusiastic about Cur&#275us. I think having posters archived online will prolong this period of discussion and increase peer interaction among researchers who might never have otherwise met. Q) You have parents who are physicians, what is a lesson or two you have drawn from them regarding your medical training or career? A) One thing my parents have valued throughout their career which I find very inspiring is constant learning. My parents are always reading journals and updated medical textbooks to keep up with innovation and change in medicine. Right now I’m in an environment where I’m constantly being taught by different senior residents, fellows, and attending doctors. However, at some point I’ll be at the top of the education chain and if I want to improve I’ll be forced to mostly teach myself. Q) You have been doing some very interesting and specific work related to diabetes…can you elaborate a bit? What drew you to this area of research? Where do you want to see this go? A) After college I worked as an associate for a diabetes information company, and I came to appreciate the extent that diabetes and obesity have become epidemics of our time. When insulin was first purified in the early 1920s, the NY Times and other newspapers of the time famously proclaimed that diabetes had been “cured.” I think people back then would have been shocked to find out just how many people a full 90 years later are living with diabetes, and more disturbingly, with life-altering complications of this disease. I also find the science of insulin signaling and glucose metabolism to be fascinating. I still don’t know what I want to do with my background in this area, but I do find it to be intellectually engaging and incredibly important. Q) What has been the response from peers and medical students you have heard from with respect to the Cur&#275us poster competition? A) I think the whole Cur&#275us model is quite different from the current state of publishing, and understandably it may take some time to catch on. However, my peers – young physicians and medical students – are the least entrenched in the current state of medical publishing and the most open to something truly new and different. And I think the overall response has been very positive. E.g., One title I used was “The Panic Disorder Patient who Cried Wolf.” Clearly, this is not the title for the manuscript I eventually published (which was about information-processing biases and auditory perception in anxious individuals), but, it certainly piqued the curiosity of convention-goers. Bullet-pointed text (similar to a talk). A few points of interest or “talking points,” but let the quality of your tables and graphs/images speak to the quality of your data! No one has the time to read tiny text boxes (if the reader has to squint…you lose)! Consider leaving out the abstract (so many words, and these words are redundant with what your poster will convey LOUDLY AND CLEARLY, also the abstract will be published in the Conference Proceedings anyway. On Cur?us, the title of your poster will be directly linked to your published abstract. In essence, your poster IS the abstract plus some cool graphic design effort! Don’t add a single bullet under a point. What’s the point in the bullet if the bullet IS the point? Most of all, have fun with your work, have confidence in it, and BE CREATIVE! Several months ago we started a revolution in medical publishing by offering tools for physician authors unlike any in the industry. Today we expand the revolution to include medical and graduate students, residents, fellows and anyone who has or will publish a medical poster. There are thousands of posters discarded after conferences every year and yet they represent hard work, creative thinking and many will lead to the next full academic papers. Dust off those posters sitting on your hard drive and upload them to Cureus where they can receive new life. To have some fun we are introducing our Fall 2012 International Poster Competition which includes a $1,000 Grand Prize and $100 prizes for each of our 40 categories. Each category will have a winner for a total of 40 First Place prizes. We are honored to have Varian Medical Systems participate as the sponsor of the competition. They are a company that values innovation and are strong supporters of physician authors who are pushing to advance medical science and discourse. As authors you may submit any poster you have created over time and as many as you like. Once you upload your poster, its time to promote….get friends, family, professors etc. to come vote for your poster. The top 10 vote recipients in each category will make it to the final round where our esteemed Editorial Board members will select the Top 3 Winners in each category. Top 3 winners will get noted in their profile and can add this distinction to their CV…plus bragging rights. Go to www.cureus.com/posters to get started.…the sooner your poster is submitted, the sooner you can begin getting votes and head toward victory. Download the official Fall 2012 Poster Competition Press Release.